Coming soon, we hope, to bookstores everywhere. 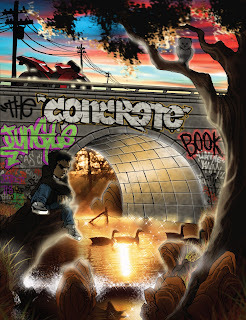 "THE CONCRETE JUNGLE BOOK is a neuron-warping, life-infusing blend of high concept, killer prose and electrified multimedia artwork. 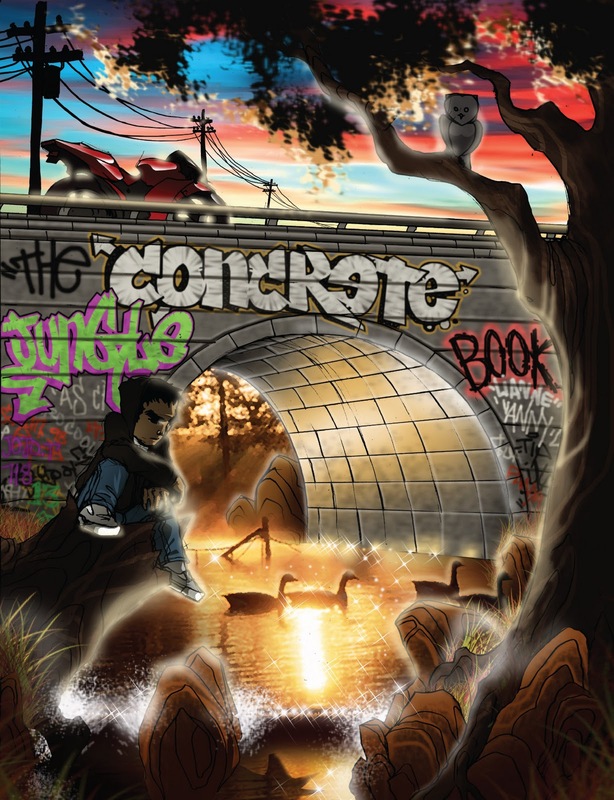 Using Kipling's THE JUNGLE BOOK as a template for navigating the mean streets of contemporary Dallas, the creators tell an affecting tale of innocence amidst depravity, dreams surviving in the gutter, and the triumph of hope over nihilism. The fantastical blends with tabloid realism in a snarling, purring, spitting hybrid, half fairytale, half documentary. Growing up rough, our hero Little Mo experiences a rich spectrum of emotions and ideas, conveyed with plenty of eyekicks and a subtle yet powerful narrative whose climax delivers all that has been promised."